We wait the great anticipation each year for the first bloom. Last year, Climbing Pinkie took that honor on April 14, and the year before, Mary Rose bloomed on March 16. That was the year we had no winter to speak of. But this year, Old Blush takes this honor. Curious that all are Pink roses. Old Blush has been around for hundreds of years and is a favorite of gardeners everywhere. So glad we have one and so glad she has graced us with her blooms. 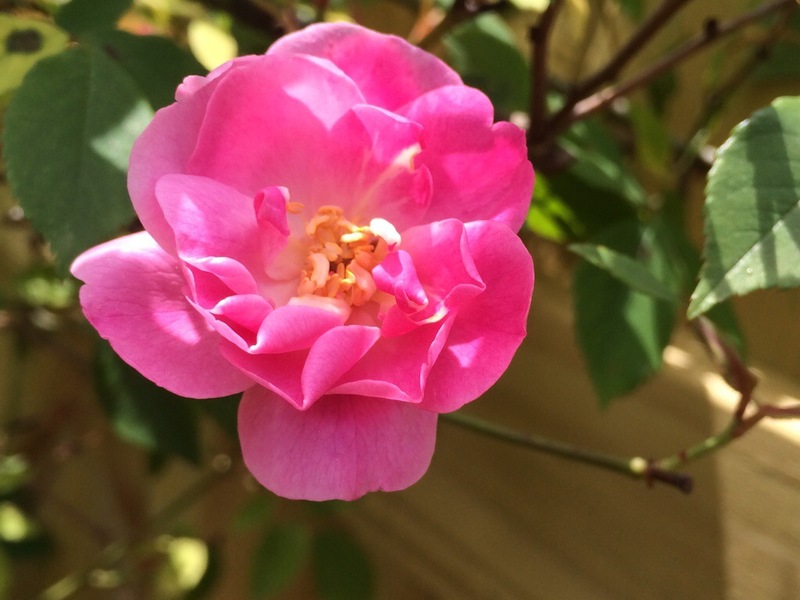 Image | This entry was posted in #MooPooCrew, #roses, Alabama, First Bloom, Old Blush, Uncategorized and tagged bloom, china, China Rose, early blooms, flower, flowers, OGR, Old Blush, Old Garden Roses, Pink, Pink Roses, rose experts, roses. Bookmark the permalink. Great rose – so glad she took the honor this year. I should have blooms in a few days. The first rose is always so exciting to see.